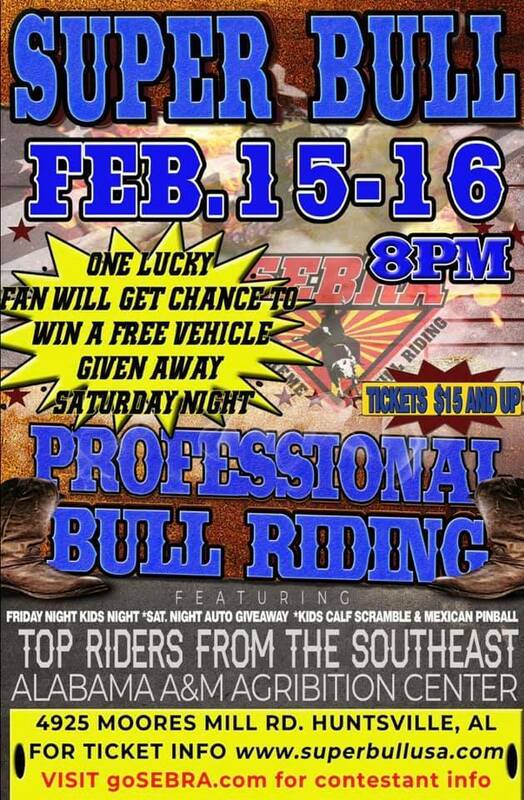 Win Tickets To Super Bull USA – Feb. 15-16 At The Agribition Center! 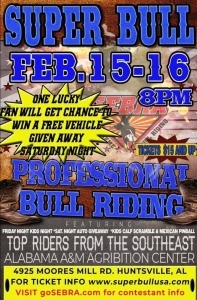 See the best in professional bull riding action with Super Bull USA – February 15-16 at the Alabama A&M Agribition Center (4925 Moores Mill Rd, Huntsville)! Tickets are on sale now – CLICK HERE for more info, and listen for your chance to win tickets with The UMP!